Bridgeforth Stadium ahead of Delaware’s playoff matchup against James Madison. The stadium seats just under 25,000. HARRISONBURG, Va. — Delaware made its return to the FCS playoffs with a first round match up against James Madison University. Thanksgiving weekend and the cold weather may have kept some JMU and Blue Hen fans home with only 7,297 fans filling the stands. Coming into the playoffs off a two game losing streak, matched up with the No. 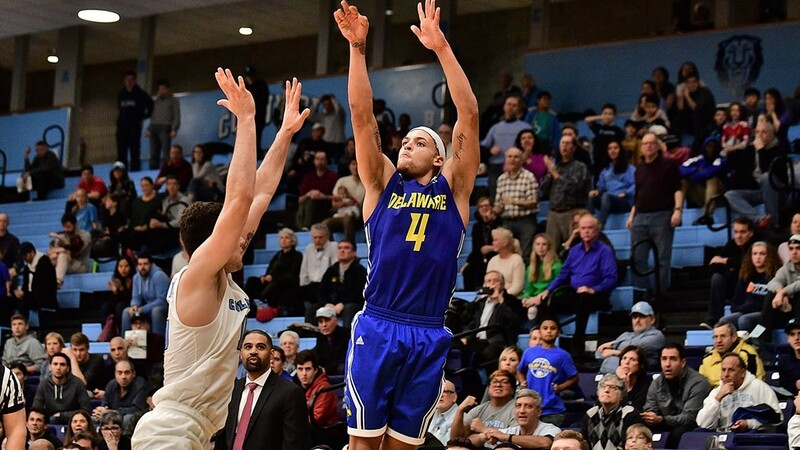 1 CAA team in the first round, on their turf made Delaware have their work already cut out for them. Although Delaware put up a fight, JMU came out on top with a 20-6 win cutting Delaware’s playoff debut short. “It’s a tough place to play, they’re a good team, they’re well coached and they’re talented,” Head Coach Danny Rocco said at his post game press conference. Coming into the game, there was question of who would be starting at quarterback for Delaware with season-long starter Pat Kehoe in the concussion protocol following a hit that knocked him out of the Villanova game and backups Nolan Henderson and J.P. Caruso also sidelined with injuries stemming from the Villanova game. With once quarterback now wide receiver Joe Walker and freshman Anthony Paoletti seen behind the center at Delaware’s practice on Tuesday, it was uncertain what today’s game would look like. Come time for kickoff, Kehoe was back at starting quarterback, cleared to play in today’s game. Delaware’s offense couldn’t get on the board leaving the defense to try and make some big plays. A flicker of hope came when safety Nasir Adderley intercepted a pass from JMU’s starting quarterback Ben DiNucci. However the interception was erased when outside linebacker Ray Jones was called for roughing the passer and targeting, forcing an ejection from the remainder of the game. After a 23-yard field goal to end the first quarter, James Madison scored on a safety by John Daka, to lead 5-0. The Blue Hens defense was strong, not allowing a Dukes touchdown until late in the second quarter, when running back Marcus Marshall, with a little over a minute left in the second quarter, scored from four yards out to increase JMU’s lead to 12-0. The offense ended the first half with a small spark of energy when they got their first first down by running back Andre Robinson late in the second quarter with Kehoe going on to pass to wide receiver Vinny Papale for 26 yards. On its previous six possessions of the first half, Delaware failed to pick up a first down. However, Delaware couldn’t find the end zone going on to kick a 48-yard field goal by Jake Roth putting the Blue Hens on the board with a 12-3 halftime deficit. Troy Reeder, Caleb Ashworth and Charles Bell led the team in tackles with Reeder totalling 16 by the end of the night. Special teams ended up being the only ones to get points on the board for Delaware when Frank Raggo went on to kick a 37-yard field goal gaining three points and leaving the game with no touchdowns scored by the Blue Hens. JMU went on to score their second and last touchdown of the game in the third quarter with an eight-yard touchdown pass from starting quarterback DiNucci to wide receiver Jake Brown to make the score 20-6. Delaware’s defense allowed the offense many chances giving them four straight stops that offense could not capitalize on. 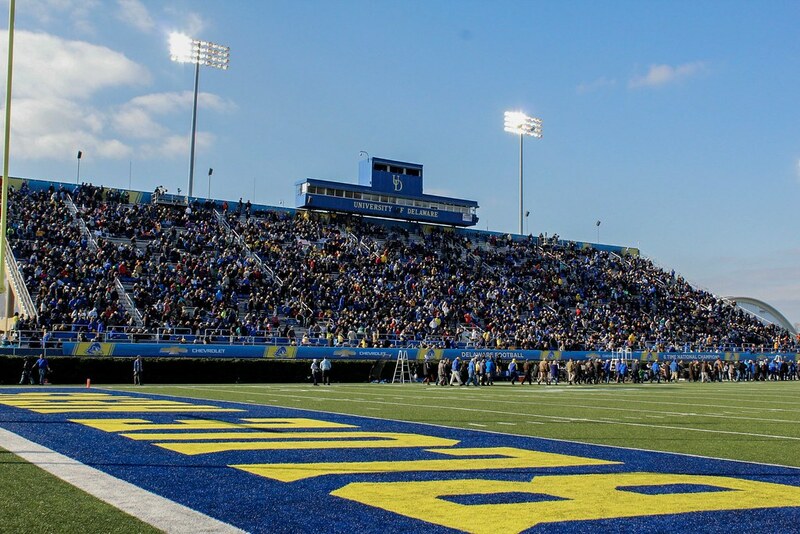 Delaware’s offense ended the game with minimal big plays resulting in no touchdowns on the board for the Blue Hens. 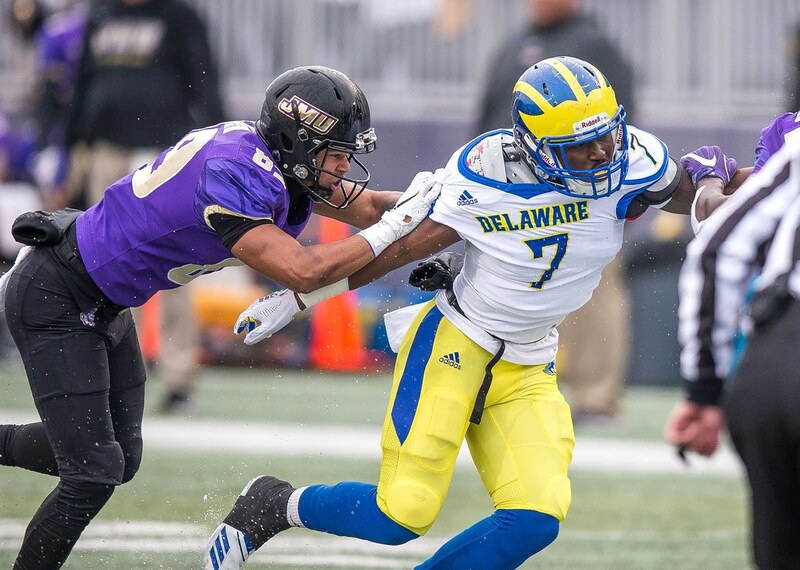 The Blue Hens ended their season at Bridgeforth Stadium finishing 7-5 overall and 5-3 in the CAA. James Madison will go on to play No. 8 Colgate at Andy Kerr Stadium Saturday, Dec. 1.